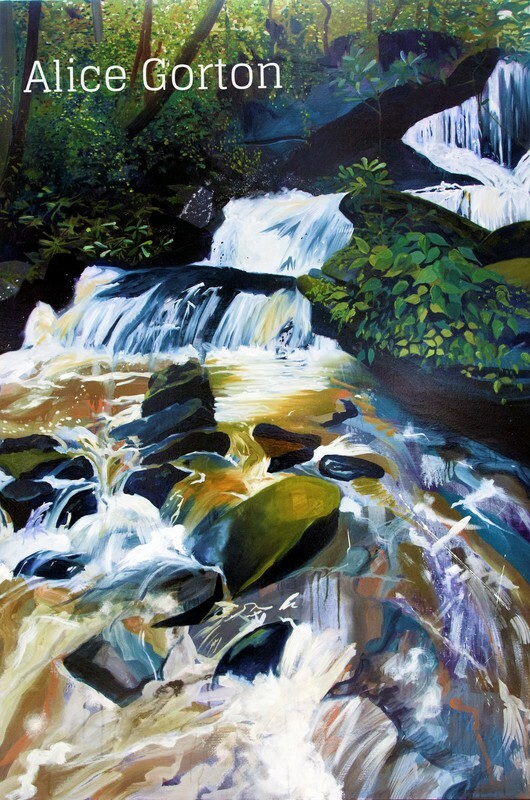 'Waterfall' is an abstracted depiction of a secluded part of a river in North Carolina called Connestee Falls. This piece conveys the power of the water and atmosphere using expressive brushwork in a mixture of inks and oil paints, covered in a deep gloss varnish. Both dramatic and grounded it touches upon the themes of nature and the sublime.